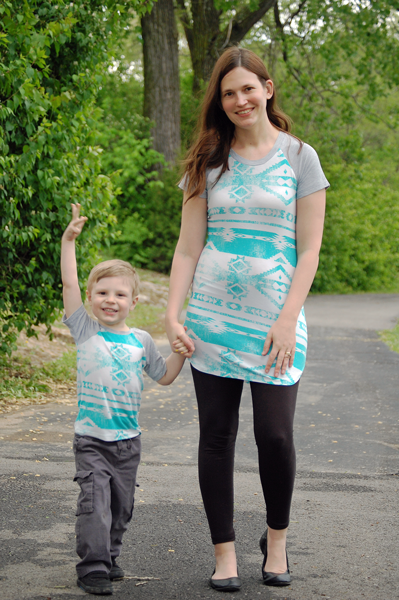 I made raglans for myself and my son with this fabric. We both love it. This wasn’t super light weight like other rayon spandex fabrics I have used in the past, not see through at all. I don’t wear anything under it. But because it’s rayon, it feels very comfortable on super hot summer days. In the photo, the grey fabric is the heathered grey from Simply by Ti as well. I had so much fun making this athletic tank with all Simply by Ti fabrics. They coordinated so well together. The rayon spandex is so comfortable to wear. Check out more details about this project on my blog for a pattern and fabric review. 5 out of 5	Great weight RS!